Improvisation in the midst of a fast-changing takeover battle can be critical to the art of deal making. But rarely has a bank had to respond quickly in a crisis the way Lazard did while advising Kraft Foods on its hostile bid for British confectioner Cadbury. Improvisation in the midst of a fast-changing takeover battle can be critical to the art of deal making. But rarely has a bank had to respond quickly in a crisis the way Lazard did while advising Kraft Foods on its hostile bid for British confectioner Cadbury. 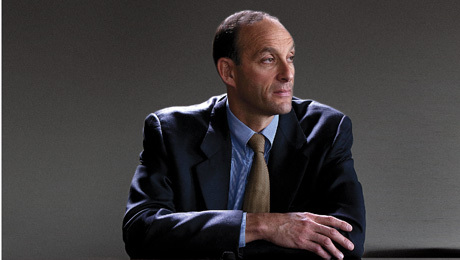 Lazards legendary leader, Bruce Wasserstein, had overshadowed dozens of other bankers involved in the heated contest. He played a pivotal role in devising takeover strategy and pricing with Kraft CEO Irene Rosenfeld, notably insisting that the company hold off on increasing its offer for as long as possible. Tragically, however, Wasserstein died suddenly at the height of the negotiations after being hospitalized with an irregular heartbeat. Lazards deep bench of seasoned bankers on both sides of the Atlantic stepped in to fill the void. The team included New Yorkbased head of investment banking Antonio Weiss; Lazards London CEO, William Rucker; and London-based managing director Peter Kiernan. The trio smoothly navigated the deals late stages and ensured that Lazard remained the sole lead financial adviser to Northfield, Illinoisbased Kraft. Differing regulatory frameworks also made things tricky. Two weeks before Wassersteins death on October 14, 2009, Britains Panel on Takeovers and Mergers set a November 9 deadline for Krafts formal bid. In contrast to the U.S., U.K. takeover rules dont typically allow any financing contingency. In addition, a buyer cannot retract a formal offer, and British boards are forbidden to deploy so-called poison pills (whereby the target company issues more shares) or sue to stop a takeover. Racing against time, Weiss and his team also had to deal with an unhappy public and sensitive politics.